This Week's Farmers Market Schedule + Valentine's Day Recap + Mahalo, Rachel Murai! 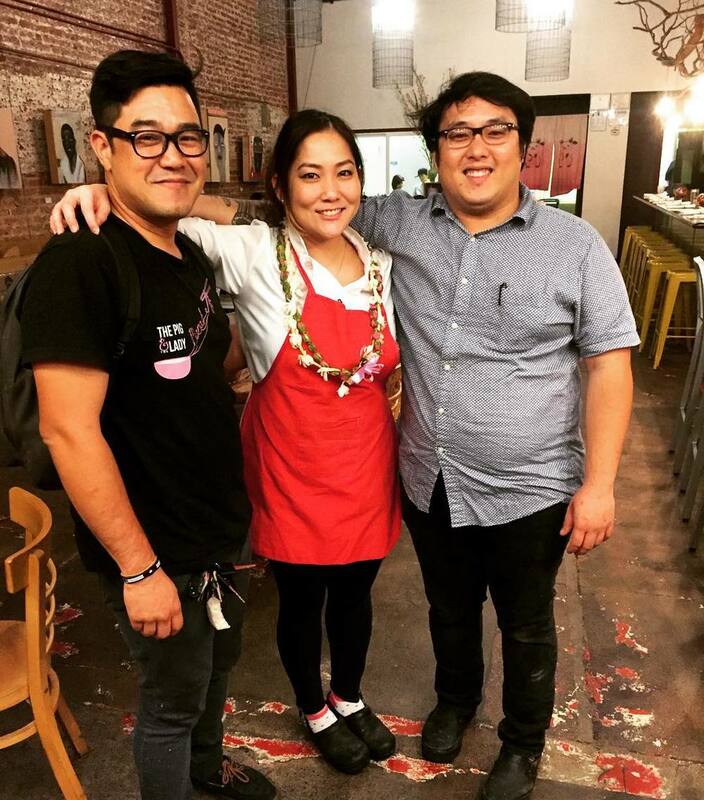 Mahalo, Chef Rachel Murai! Photo taken by @goodbyeelliot. This week’s blog is celebratory but also bittersweet. The leader of our #PIA team, Chef Rachel Murai made her last dessert with us yesterday during our Valentine’s Prix Fixe dinner event. Rachel is set to move to Oklahoma in a couple of months to be with her future husband, which means, she’s got to plan a wedding before she leaves the island! That’s right secret admirers, Rachel is taken and he’s a stand-up guy! When Chef Andrew was able to snag Rachel, it was deemed a major coup. She had just left stints at both Nobu and Vintage Cave. The staff was abuzz that a pastry superstar was joining our ranks! Rachel was instrumental in designing the restaurant’s dessert program from the ground up. She brought her own insight and notes to the dessert bar/chef’s station and really stepped up our game as a whole, gaining recognition for her sweet confections and culinary inventiveness. 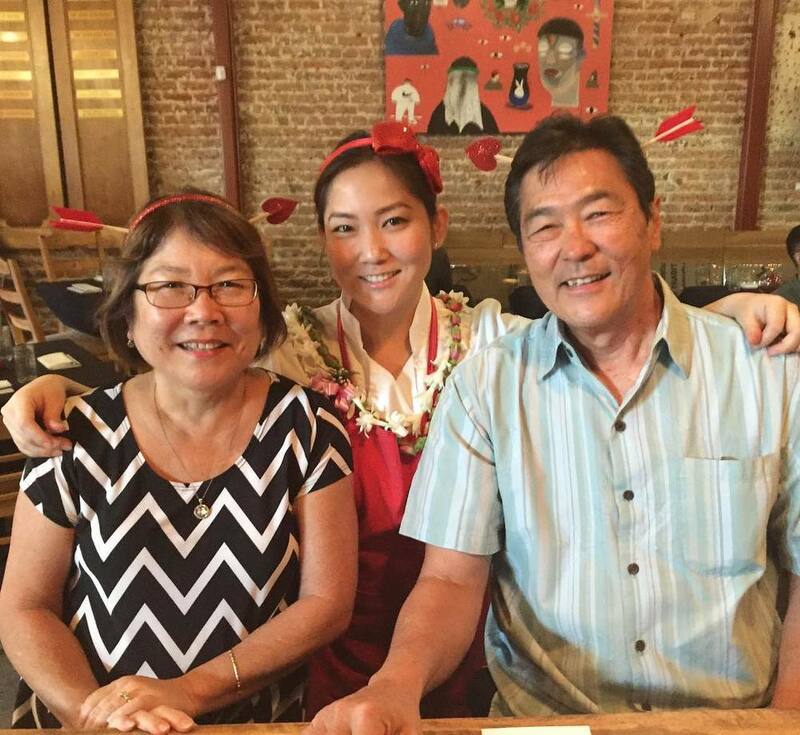 After only two short years, she’s earned a Hale Aina Bronze Award for Best Dessert and has been featured not once, but twice, on UNIQUE SWEETS, which is nationally televised on the Cooking Channel. But even more so, Rachel was like, and is, family. Her future hubby proposed to her at the restaurant! She built a community and following, and most of all, an amazing team that loved and respected one another. We are very sad to see her go, but also wish her well as she matriculates into the next chapter in her life’s adventure. No matter what, Chef Rachel will make waves wherever she goes and we will be tracking her progress, as we hope to cross paths very soon. Although the roster has left the coop, she’s left Team PIA in good, trusted hands, as Kari and Gino take over the reigns. So this is not a goodbye, but a “see you soon again.” A restaurant sees people come and go all the time. But, Chef Rachel is more than just a face. She's a part of The Pig and the Lady foundation and is a lasting brick that will keep this whole wild enterprise propped up. 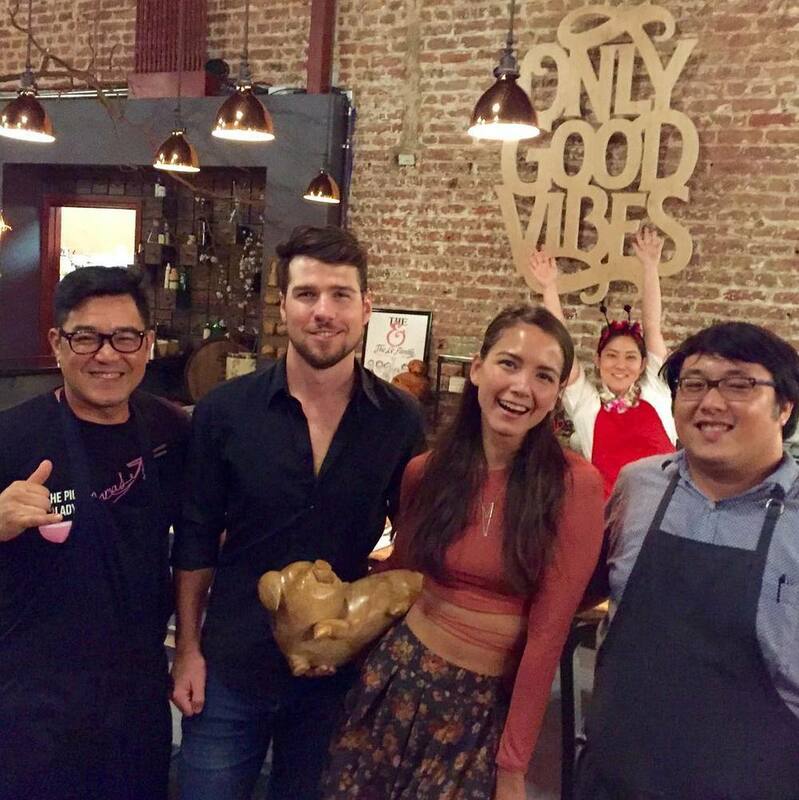 Mahalo, Rachel, for everything! Don't forget to follow her on Instagram, @ichibanitsutsuboshi. As for our Valentine dinner yesterday, it was a smashing success. We were at capacity and had six seatings last night. Mahalo goes to Foreseeable Futures for providing live music that brought a wonderful and romantic ambiance to the dinner. We can’t thank you enough! Our patrons loved it and we just booked them for our Mother's Day brunch event! In the meantime, check out this photos taken from last night's amazing event. Mahalo to @melissa808 @jabbalikespho @konaish @goodbyeelliot @lkrand for taking photos! BEEF SHANK BANH MI — Hey, why not serve this week’s Vietnamese beef stew as a banh mi as well? The broth serves as an amazing dip and complements a slightly toasted baguette. Prepared to be wrapped in the epitome of comfort food goodness. GRILLED BEEF TONGUE w/ JAEW SAUCE — This is pretty self explanatory. Believe us, this is not FEAR FACTOR food either. Grilled beef tongue is so amazing and we served a sneak peek last week, which was a big hit. PORK RAGOUT — Mama Le’s pork and peas French stew, cooked with a tomato based ragout. This is simply amazing over a bed of rice. As always, the full menu is over at the Farmers Market Menu page.